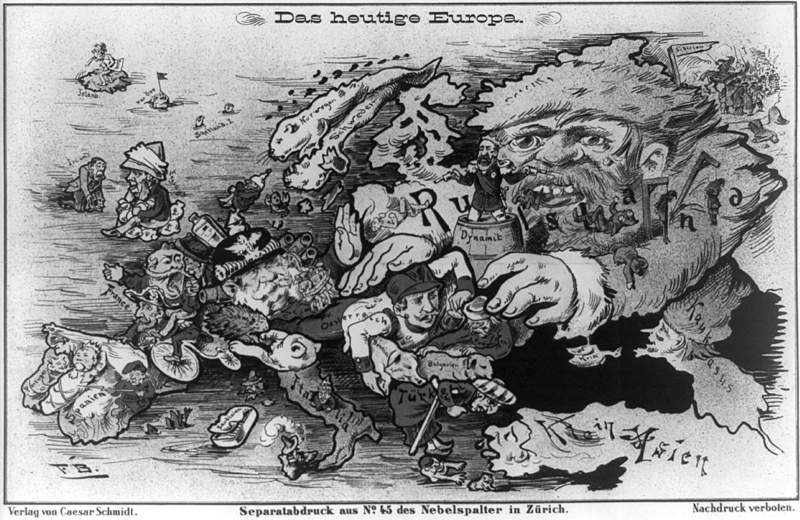 Verlag von Caesar Schmidt's “Europe Today”. Made in 1887. 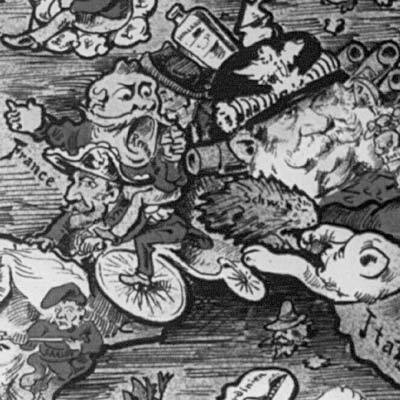 19th Century Europe seemed to really like making maps where countries are anthropomorphic depictions of what were thought by the maps' creators to be the embodiments of their national characters. This one, made by Schmidt in 1887, is a really fun one; I only wish I could find a higher quality reproduction of it. For many more examples of anthropomorphic maps, head over to the always-fascinating map blog ”Strange Maps”.